@ Nik Jac: You're right, top speed isn't nearly as important as acceleration and braking, in that, the Fiat 500 Abarth and Mini Cooper S are very similar, and the Fiat gets better fuel economy. In my country, Fiat 500s are selling like hot cakes, vastly outselling Mini Coopers. The top speed is less important than global performance of a car. 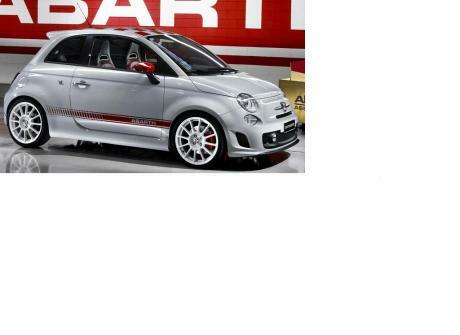 In the normal use, Cooper S and 500 Abarth thera are very similar but the 1st car is very expensive! For 30000€ I prefer for example Giulietta QV with our 235cv and 340Nm of torque!! @ Nik Jac: I wouldn't say very similar, the Mini Cooper S has the legs on it, it's 12 MPH faster top end, but in the city that doesn't matter, so you actually do have a point. From what I hear, the Fiat 500 Abarth is a feisty little car. 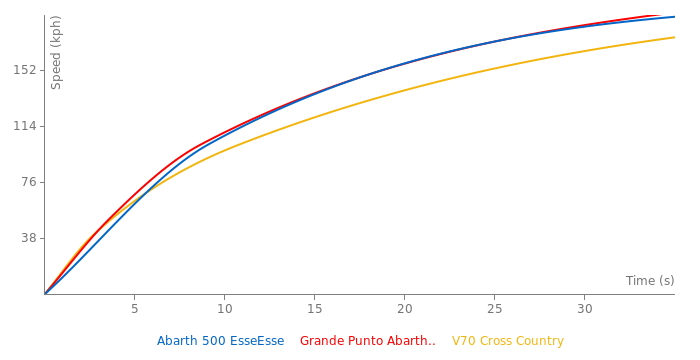 They started selling the Fiat 500 Abarth in America this year, the base 500 is a big hit over here, we can't get enough of them. Essesse faster than the 997.1 turbo at Hockenheim GP ... right ;-) Can someone explain that? abarthero, do you have link for the 0-200 time? New time, and new track. It has 158bhp. official 0-100 is 7.4 for the esseesse. Real 0-100 is about 6.8. Stats should be fixed if this website wants to be seen seriously. My Opinion On The Best Hot Hatch For Value For Money would probably be Either the 2009 Mitsubishi Colt Ralliart, Or The Hyundai i30 2.0 CRDI Premium. ARgue argue arg-u... You fuds Have Been Arguing Since 10/11/08! rxbkrs- if you look at the engine spec to the left it already says 160hp. Greetings. This car actually has 160 hp.